Taken from Wooing Tree wine tasting cafe. A sign of spring / summer. 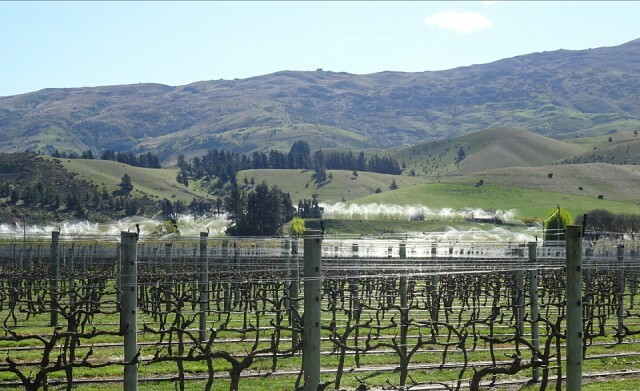 Vineyards in the foreground ready for the incredible growth that takes place soon to the irrigation in the mid ground and in the background are the hills of the Central Otago fine wool farming. Wooing Tree is a gorgeous place to taste their lovely wines, share a platter and chill out with great company in a stunning environment.